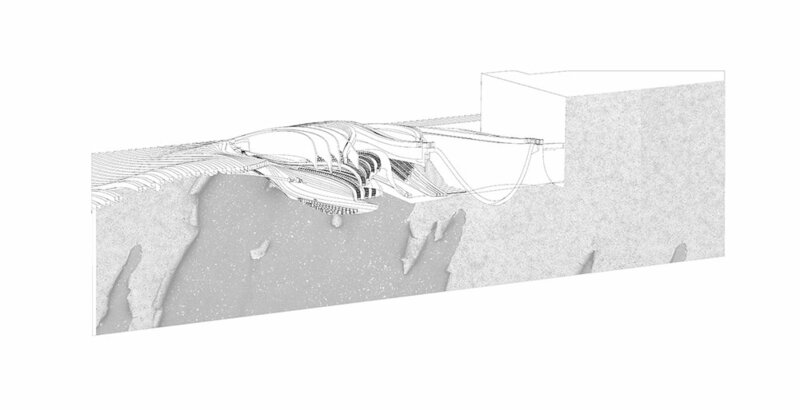 Located in a developing area of the Boston waterfront, the project stands between landscape, urbanism and architecture, in an effort to set a new interdisciplinary approach for the renovation of an abandoned industrial area. 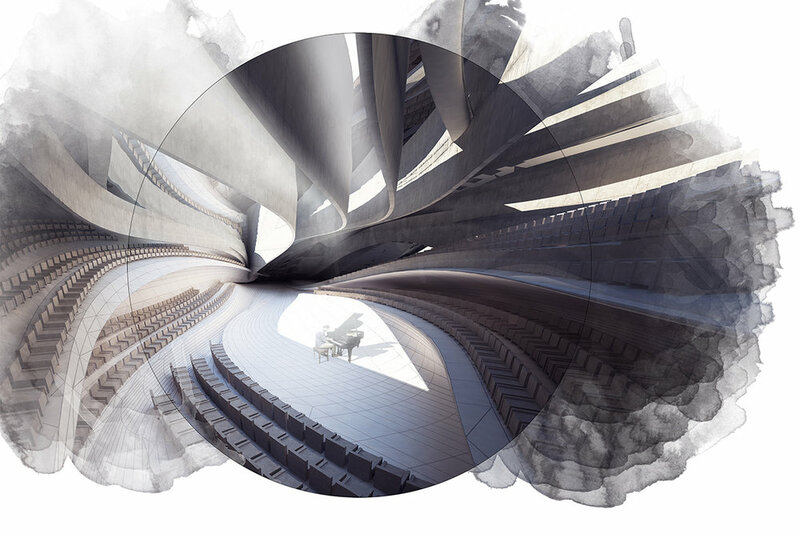 As host to the new Boston Music Hall and a series of associated facilities like studio theaters and performance spaces, the project aims to merge music and water. As such the water's edge is not strictly marked by a straight boundary which ignores the bathymetry. 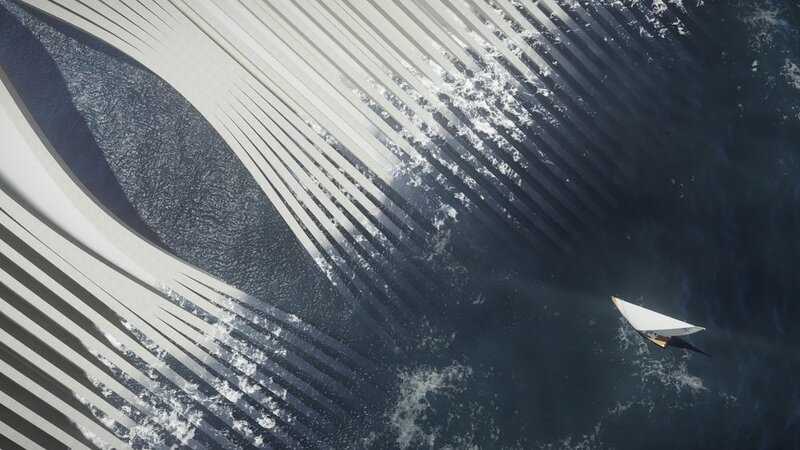 Instead the new edge is more fleeting, allowing the water to enter the site and interact playfully with the landform ( in a way suggestive of the "Flyshes" of Zumbaia on the northern coast of Spain) while defining a new civic surface within the artificial landscape. The program has been expanded to include public baths and indoor/outdoor pools where people can relax while listening to live musical events, and in so doing rediscover the almost lost relationship which the city of Boston once had with the water's edge. The fragmented and layered nature of the landform enriches biodiversity and encourages nature's role in the future development of this area, leaving a large part of it to its citizens in the form of a public park.